Whether you like fire or ice, this bracelet set has you covered! 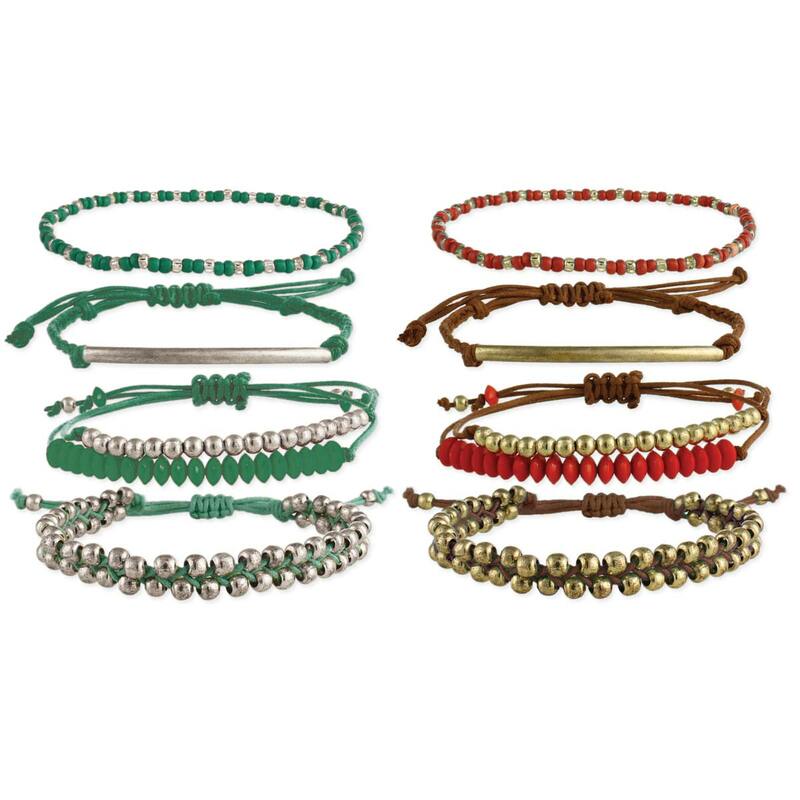 A simple set of 4 bracelets includes 1 colorful beaded stretch bracelet and 3 cord and bead pull bracelets. Bracelets are great worn individually but best worn together for an easy layered look.